This beautiful silver colored connector will protect the point of your scissors and when removed will turn into a scissors fob. 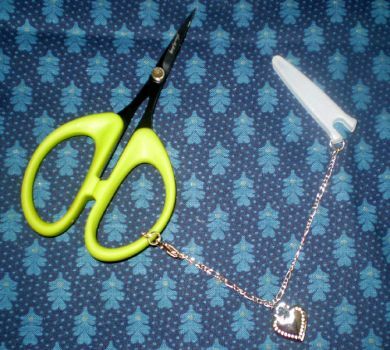 Easy to connect to your handle using the clasp (like a necklace). Available only for our 4" Karen Kay Buckley Perfect Scissors. This design has a beautiful heart design charm.